As a working dog owner, the struggle of leaving your dog home alone for long stretches can be trying on both you and your canine. Regardless of the reason, it’s not easy to meet all of your pet’s needs without some type of assistance. 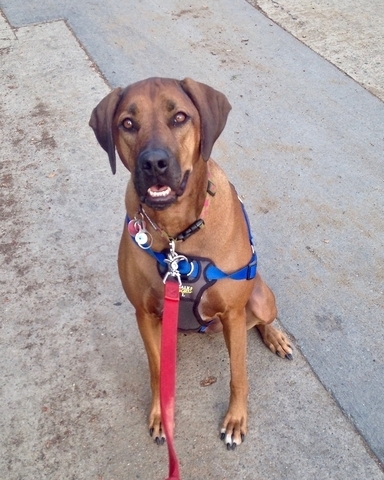 “A dog that must endure long days (six or more hours) without appropriate exercise can suffer quite a bit of stress,” says Aïda Muñoz, a dog walker and pet sitter for Precious Paws Pet Sitting LLC in Royal Oak, Michigan. Thankfully, when it comes to providing care, there are a variety of options to consider. By having professionals to turn to, owners can breathe a sigh of relief and alleviate some of the guilt felt when leaving their pup. Because each dog’s needs are different, it’s up to you to determine which type of care they’ll benefit from the most. Will your canine companion flourish in a day care environment, or is he best suited for an in-home dog walker? A more senior dog that needs bathroom breaks or the opportunity to stretch his legs during the day would most likely respond better to the one-on-one attention a dog walker can provide, as opposed to being surrounded by younger, more active dogs in a day care setting. “It all comes down to the client and what her objective is,” says Bethany Stevens, owner of On the Move Pet Care in Rochester, New York. Just like people, dogs have different temperaments and personalities, and what works for one might not be best for another. Some adapt to a larger and more energetic group, while others feel more secure in their own home. Choosing which path to take is no small feat, so here are some pros and cons of each to help you make an informed decision. Personalized and customized to the needs of the dog — does your pup need a walk or just a bit of playtime? Daily exercise, which is important for both mental and physical stimulation. A good option for dogs that exhibit aggression or fear issues and are overwhelmed in a larger setting. Avoid the stress of a new environment. A daily walk can be less expensive than a full day at day care. Less risk of being exposed to illnesses and parasites that may be present at a day care. Consistency with behavioral training; dog walkers can adhere to your rules and help reinforce training. Convenient for an owner who has transportation issues. Young or high-energy dogs often need more exercise than they’ll get during a limited visit with a walker. Your canine partner is still home alone for the better part of a day. Owners must ensure their walkers are trustworthy. They have a key to your home and they’re responsible for your dog’s well-being while he’s in their care. Lack of socialization with other dogs. A chance to meet and play with other dogs — a good option for those that do well in an active playgroup. Provides the mental stimulation and physical activity dogs need for hours on end. Establishes a routine and relieves separation anxiety and boredom. Great exercise — a tired out pup will be relaxed and exhausted by the time he comes home. Strangers will not be in your home. Potential for bad behavior — if you’re in the midst of training, the freedom given at daycare might derail your work and/or create new issues. Though most day care facilities require all shots be up-to-date, there is still a chance of exposure to different illnesses. Possibility of under-qualified staff — while we hope the people taking care of our dogs are trained, we never truly know how someone will act in an emergency. Transportation — the lack of flexibility in an owner’s schedule can make it difficult to comply with specific drop-off and pick-up times. Regardless of the option you choose, do your research. When hiring an in-home pet service, Stevens suggests finding a business that is licensed, bonded, and insured. If you decide to utilize a day care facility, observe the staff and the program ahead of time. “Make sure they have a good reputation and that they offer webcams as part of their service; that way you can check in on your dog,” says Alexandra Bassett, lead dog trainer and behaviorist at Dog Savvy Los Angeles. And remember, a tired dog is a happy dog! The holidays are a great time to adopt a new puppy or rescue dog because you’ll have more time to help them settle in. 1. Decide on house rules before you bring your puppy or dog home. Puppies and dogs do best in an environment where rules are clear and consistent, so make sure everyone in your household agrees on the particulars. Some things to consider are: Where will your puppy or dog stay during the day and where will they sleep? What schedule will you keep in order to properly housebreak them? Will your newest family member be allowed on the bed? On the couch? Are there any rooms of the house that are off-limits? Being aware of some puppy training basics like how to teach a puppy not to bite and how to train a dog not to do something are also extremely important. 2. Stock up on the right supplies. 3. Prepare your house and have a good potty training set up in place. This requires a little more work if you’re getting a puppy since they can be champion chewers and have a knack for getting into things they shouldn’t. But no matter what your dog’s age, you’ll want to do some organizing ahead of time. Create a temporary, gated-off living space for your dog or pup where they’ll stay whenever you’re not with them. This is an absolute necessity for housetraining a puppy. This also keeps them out of trouble by preventing them from damaging your belongings or eating something that will make them sick. Pick a room that’s a center of activity in your household, so your dog won’t feel isolated, and be sure it’s one with easy-to-clean floors. The kitchen is often a good choice; you can block it off with baby gates if needed. Make sure you remove anything that you don’t want chewed on or soiled. What’s in your dog’s area will vary a bit depending on their age and how you’re house training. Puppy-proof to make sure anything that could hurt your dog–medicines, chemicals, certain plants–is out of reach. 4. Arrange for home care. Ideally, you will need a few days or up to a week to get your new dog or puppy settled in. Potty training a puppy will take a few weeks, so be patient. It’ll also help the two of you bond, which in itself can make training easier. But even if you can take some time off, you’ll need a backup team in place pretty quickly. Enlist the help of friends or family to stop by and check in on your dog or pup, and find a good dog walker or daycare that you can rely on when needed. 5. Plan the trip home. Find a helper to come along when you go to pick up your dog. Young puppies who’ve never been on a car ride before may get rattled, and even adult dogs can get nervous–and a terror-filled car ride can turn into a long-lasting phobia of car travel. Ask someone to sit next to your dog on the ride home, soothing him and keeping them from hopping into your lap while you’re driving. If your dog is used to a crate, you can put them in the crate for the ride home. Just make sure it’s secured; sliding around the backseat will make the drive more stressful. 6. Find a good trainer or group dog training class. Group dog training classes and private dog training are a great way to bond with your new dog and for learning how to communicate with and train your dog. They’re especially recommended for young puppies since they give pups a chance to get comfortable being around other canines and people–-a key part of raising a safe, friendly dog. Los Angeles dog trainer Alexandra Bassett is the owner of Dog Savvy, a private dog training company that specializes in positive dog and puppy training in Los Angeles. Whether you've just adopted a puppy or rescued a dog with behavior issues, we can help you with every aspect of dog training including crate and potty training or resolving difficult behaviors like dog anxiety, leash reactivity, canine separation anxiety and aggression. For more information, please call: 213-294-1519 or visit our website: www.dogsavvylosangeles.com. The psychological effects of living with a dog with separation anxiety can be devastating as a dog's guardian is forced to accommodate their anxious dog by ensuring, one way or another, that they are never left alone. But there is hope! Our simple, yet effective Behavior Modification Training (BMT) programs can help rehabilitate your dog and restore your life back to normal, much sooner than you may think! Dogs suffering from separation anxiety panic when left alone and will often engage in a variety of nuisance behaviors that can cause you both emotional distress and material harm. Separation anxiety in dogs can take the form of prolonged pacing, whining, barking and howling that does not subside during their guardian's absence, often causing neighbors to complain, and sometimes leads to threats of eviction unless the behavior is resolved. Destructive behaviors like gnawing on furniture or the framing around thresholds like doors and windows often accompanies this behavior, causing costly damage to your home or rental property and placing a strain on your relationship with your dog. Dogs with this disorder will often lose their bladder and bowel control soon after their guardian leaves, usually within 20 minutes, due to the panic they experience when they are left alone. Separation anxiety in dogs is resolved by changing their conditioned emotional response (CER) to being left alone. Using our training protocol, a dog learns to self-soothe and settle down (instead of feeling mounting anxiety) while their human counterpart goes about their leaving routine. The BMT program that is best for you and your dog depends on the level of separation anxiety your dog has reached. The training can be broken down into three phases based on taking the charge out of a variety of environmental triggers while inducing and reinforcing calm responses from your dog. Training needs to take place on a daily basis for optimal results and can be done for anywhere to 15-30 minutes before your departures. We will help you devise an executable plan that safely allows you to get your life with your dog back to normal. Los Angeles dog trainer Alexandra Bassett is the owner of Dog Savvy, a dog training company based in Los Angeles that specializes in solving canine separation anxiety. If you have a dog that you suspect is suffering from separation anxiety, Alexandra offers free 30-minute phone consultations and provides in-home dog training to the greater Los Angeles metro area, as well as remote dog training services via Skype. A recent study released by Sonoma State University highlights two major causes of conflict between dogs at dog parks, and two major causes of conflict between people taking their dog to the dog park. Behaviors that resulted in the highest amount of dog fights between dogs were bullying and mobbing, and behaviors that resulted in the highest amount of conflicts between people taking their dog to the dog park were differences in opinion on how to respond to dogs mounting each other and neglecting to cleanup after one's dog. Aggression was most likely to break out as a result of mobbing behaviors--dogs congregating at the entryway of the park in order to meet incoming dogs--and bullying that went unnoticed until too late, the study says. Controversy over "unwanted advances" in the form of dogs mounting other dogs and dog caregivers refusing to cleanup their dog's feces ranked highest for why conflicts break out between people. Lack of consensus between dog caregivers about what is appropriate behavior for dogs to engage in was cited as one of the main reasons these problems occur. 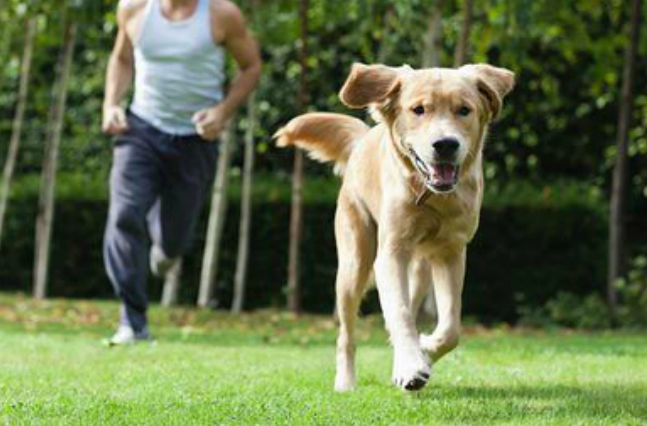 Dog parks have gained in popularity over the past 15 years and are a relatively new phenomenon. As a result, the rules of conduct are somewhat arbitrary depending who is at the dog park at any given time, the study says. Keep moving. 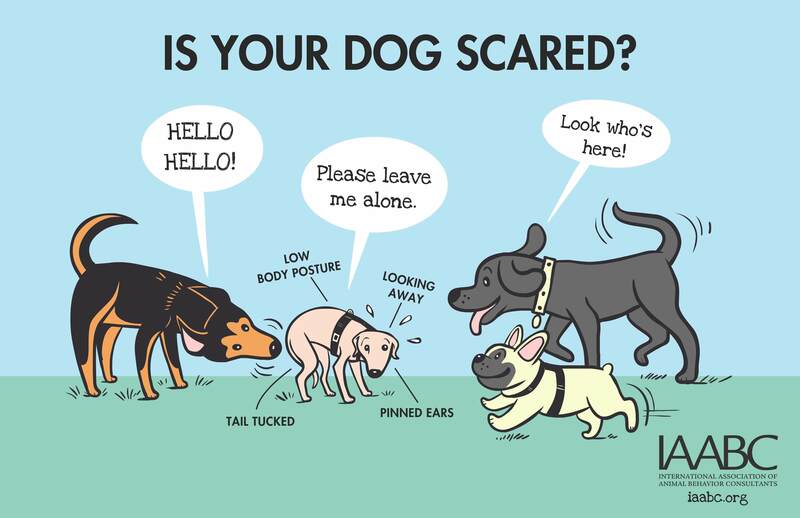 If you keep moving around in the dog park, it will prompt your dog to periodically check your position and follow you, and a dog that is keeping on an eye on their human is more likely to stay out of trouble, too. Remaining stationary ups the chances of your dog getting too involved with pack dynamics and could lead to your dog getting involved in a dogfight should one break out. Know how to break up a dogfight if one should occur. The best way is to remain calm (ask screamers to be quiet), grab the fighting dogs by the hindquarters, and then lift their back legs off the ground. Once the legs are lifted, pull the dogs apart, stepping backward in a curve so that if a dog tries to redirect their fury back at the handler, they won't be able to reach them. Mobbing: Don't let your dog crowd new dogs entering the dog park. It's best to keep your dog away from the entrance of the dog park once you arrive to prevent them from causing newcomers to feel crowded or overwhelmed. Mounting: Don't let your dog mount other dogs. Intervene quickly and body-block your dog by stepping in between your dog and the object of its affection to let your dog know they should stop. Repeat as many times as necessary until your dog gets the message (maybe even taking your dog outside the park to calm down, and then coming back in to give them another chance to do something else). The other dog owner will appreciate this greatly! Adopt the stance that dogs can work things out themselves: If play between dogs seems too rough or one-sided, intervene as soon as possible. It's a good idea to be aware of dog body language and what it is expressing, and to have an understanding of how different breeds of dogs like to play, in order to ensure all play is mutually enjoyed. Don't bring an unneutered male to the dog park - it may result in fights! Don't bring a female in heat as it will definitely cause a stir and may result in fights (and a lot of unwanted mounting)! Play can take on different forms depending on the breed and temperament of a dog. Active breed or high energy dogs like to play a variety of games that simulate hunting or herding behaviors. This can include "take down" maneuvers like grabbing another dog by the scruff of the neck, bumping into each other with body slams to knock each other off-balance, and nipping at the feet or hindquarters of another dog. A dog chasing and nipping at another dog that does not want to play or be chased (usually that dog will be fleeing from the other dog and perhaps try to hide behind its dog parent or under a park picnic table). Competitive behaviors like one dog resting their head on the neck and shoulder area of another dog. This is an "I'm sizing you up" maneuver whereby one dog is judging whether they could take the other on. This should be stopped immediately and the dogs should be separated. Most conflicts at the dog park can be avoided with human supervision, intervention, and consideration of others. The best way to keep your dog out of trouble and to keep the peace with dog caregivers at the dog park is to keep moving and to intervene when: 1) play gets too rough or seems one-sided, 2) your dog engages in mobbing newcomers, or 3) your dog starts mounting another dog. Lastly, it's always a good idea to cleanup after your furry friend, as well! Alexandra Bassett is a professional dog trainer and the owner of Dog Savvy Los Angeles, a dog training and behavior company based in Los Angeles. She has trained dogs professionally in the Greater Los Angeles for over three years and specializes in solving problem dog behavior like canine separation anxiety, leash reactivity, and aggression. She lives in Los Angeles and is available for free consultations. Recall (coming when called): This is easily done by creating positive associations with your dog's name, and then training them to come to you when called. Simply stay stationary and say your dog's name, and when they look at you, give them a treat. Proceed to moving away from your dog and calling their name. When they catch up, reward! Do this multiple times throughout the day, sometimes catching your dog off guard by calling from another room, and rewarding them lavishly when they come to you. The Collar Grab: Sometimes a dog will come when called, but as they notice you are about to put them on a leash, they run away. This is easily counter-conditioned by adding a collar grab as one of the steps in recall training. Simply grab a dog's collar as you give them a reward so they get used to having their collar grabbed when they come to you. Toys like balls should only be surfaced at your discretion. If toys result in dogs fighting over who gets to play with the toy, it's best not to bring them to the dog park, or only break out a toy when no other dogs are around. Don't let your dog mount other dogs. Intervene quickly and body-block your dog by stepping in between your dog and the object of its affection to let your dog know they should stop. Repeat as many times as necessary until your dog gets the message (maybe even taking your dog outside the park to calm down, and then coming back in to give them another chance to do something else). The other dog owner will appreciate this greatly! A dog chasing and nipping at another dog that does not want to play or be chased (usually that dog will be fleeing from the other dog and perhaps try to hide behind its owner or under a park picnic table). 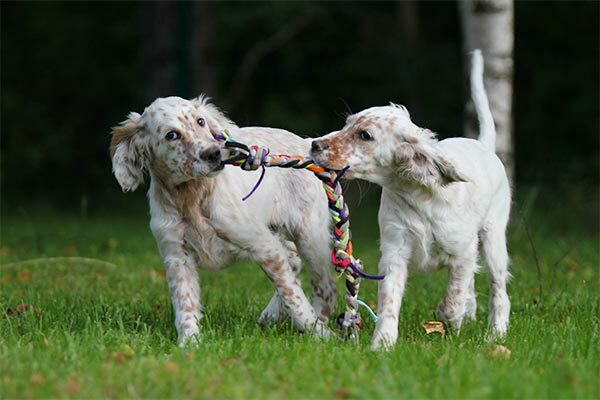 A bigger down overwhelming a smaller dog or puppy that can't match their play style or energy level. Keep moving. If you keep moving around in the dog park, it ups the chances that your dog will keep on an eye on you, too, and stay out of trouble. Remaining stationary ups the chances of your dog getting too involved with pack dynamics and could lead to your dog getting involved in a dogfight should one break out. Know how to break up a dogfight if one should occur. The best way is to remain calm (tell screamers to be quiet), grab the fighting dogs by the hindquarters, and then lift their back legs off the ground. Once the legs are lifted, pull the dogs apart, stepping backward in a curve so that if a dog tries to redirect their fury back at the handler, they won't be able to reach them. Have you ever had your dog off-leash at the dog park and called them to “come” (also known as recall), only to be ignored, and then proceeded to call them again, sometimes repeatedly, before they seemed to finally listen? Or even more frustrating, and to your own embarrassment, have you had to chase them down in front of a legion of bemused dog owners in order to grab them and get them back on the leash (maybe even losing your cool in the process)? If, on top of this, you also reprimanded or punished your dog when they finally responded to your call (or when you finally caught up with them), you not only taught them NOT to come to you the first time you asked, but that you will also either give chase (a game that many dogs enjoy, and which may also prompt them to run away from you) to force them to comply, or worse, that you will punish them for doing what you ask (albeit not the first time you asked, but you’ll soon discover that human error is to blame for that). We’ve all had the experience of being asked to do something we don’t want to do, at a moment we don’t want to do it. Your dog is really no different from you in this respect. However, teaching your dog to come when called is important, not only because it makes life easier (and makes you look like the best dog trainer ever at the dog park), but because it can keep your dog out of trouble, possibly even saving their life. First and foremost, make sure your dog associates recall with positive experiences. Dogs, like human beings, avoid things they don’t like. If you only call your dog to come when it’s time to leave the dog park, or worse, get upset and punish them for taking their time to respond to you, you are setting them up for making a negative association with the word and ignoring your command. To turn this around, you need a new strategy. Start by reinforcing the act of coming when called by making sure the end result is something your dog will enjoy: praise, a treat, or being allowed to return to whatever they were doing. Yes! Calling your dog to come, and then sending them off again to resume whatever activity they were enjoying before, will help condition them to want to respond to you when called. Dog Training Tip: Ask a friend to play monkey in the middle with you and your dog. Take turns calling your dog back and forth, making sure you both sound happy and excited as you do so. Lavishly praise your dog every time they come to each of you when called. Never, ever chase after your dog or punish them for not coming when called – it will only perpetuate the problem! Often, you are interrupting your dog in the middle of something it prefers to do more than come to you (like sniffing something interesting or playing with another dog), so take this into account. If your dog ignores you when you call them, don’t get upset. Take a deep breath, wait for them to respond (even it seems like they are taking forever), and praise or treat them when they finally come to you. If you make a commitment to practicing recall more often in a controlled environment, without distractions (the dog park is not a good setting in which to help your dog learn new behaviors), you will notice that they respond better and more quickly when you take them somewhere public to socialize. Dog Training Tip: Practice recall in a place with minimal distractions in 2-5 minute intervals, using freedom as a reward. Simply call your dog to come, praise them when they do so, and then send them off to resume whatever activity they were doing before. This will go a long way to show your dog that listening to you doesn’t necessarily mean their off-leash freedom is immediately going to end. And if your dog does not respond to your first request, DON’T REPEAT YOURSELF. Give your dog a chance to come to you and praise them when they do. If they don’t, try walking or jogging in the opposite direction of your dog. Very often, just walking briskly away from your dog will stimulate them to follow you, and when they catch-up, you have the perfect opportunity to praise them and send them off again. No matter how much effort you put into training, no dog is ever going to be 100% reliable at coming when called. Dogs are not machines. They’re like people: they have their good days and their bad days. Sometimes they don’t hear you call, sometimes they’re paying attention to something else, sometimes they misunderstand what you want, and sometimes they simply decide that they would rather do something else. And, let’s face it, sometimes our training is inconsistent or confusing. So be patient with your dog, remaining consistent, fair, and discerning in your expectations, and it will pay off. The good news is: you don’t have to live with this behavior until the end of days. With a little effort and know-how, you can train your dog to walk on a loose leash. Part of understanding how to curb this unpleasant behavior is examining why your dog pulls in the first place. Firstly, a dog is a quadruped designed for continual movement. Their natural pace is faster than ours, so they quickly find themselves at the end of a taut leash. They want to move forward towards more interesting smells, other dogs, or just for the natural urge to move, and being on a leash, no matter how normal it seems to us, is not normal for them. It’s something they learn to do as part of the life of a domestic animal. Secondly, dogs pull on the leash because it works: they want to go forward (often towards some specific thing), so they pull forward and affected by the momentum created, we relent by going forward with them. It doesn't take a dog long to figure out that pulling gets it to where it wants to go. To make the situation even more challenging, dogs have a natural oppositional reflex that is linked to their fight or flight response. This means that resistance on your end activates a “struggle” mindset on your dog’s end, resulting in a dog that will only try to pull even harder when you pull back, forcing you to give in. Uh-oh! Your dog just trained you! So what do we do? The main secret to stopping a dog from pulling is to not allow pulling to get them where they want to go, and to teach them that they can go where they want (within reason!) when they don't pull. The other part of training involves teaching your dog that when they are on a leash, they must pay at least some attention to where the person at the other end of the leash is positioned and going. Dog Training Tip #1: Start rewarding your dog for eye contact at home by practicing walking on or off leash in the house, where your dog probably doesn't pull. Each time he looks at you, mark the moment with an upbeat “Yes!” and give your dog a treat. Whenever you go for a walk, do the same. This helps bring your dog’s focus back to you, plus it’s hard to pull if they’re looking at you! Dog Training Tip #2: Teach your dog that pulling results in the stopping of forward motion. If your dog starts to walk in front of you on leash, stop dead in your tracks. When the leash becomes taut, wait for your dog to look back at you, and then mark the moment with an upbeat “Yes!” and encourage your dog to walk back towards you by walking in the opposite direction you were going. The quicker you do this, in the beginning, and the more fun you make it, the faster your dog will pick up the object of this game, which is to stay by your side in order to keep moving forward. If your dog walks in front of you again, do the same thing again. Do this as many times as you need to in the beginning to get the message across. Dog Training Tip #3: Set your dog up for success by avoiding distractions they are not ready for. If you take your dog out to train, but they are pulling every which way, they are not going to learn, and you will just become frustrated. Back up a step or two and work at home, inside, with only a few distractions. Then work in the yard. Next, work in front of the house. Ensure that your dog has a positive experience and always remain calm. Pulling on the leash can be a sign that your relationship with your dog could use a little tweaking. Do you demand attention from your dog without being aware of what kind of attention they enjoy? Every dog has preferences depending on their breed and disposition. Perhaps your dog is a Beagle and lives for following the scent of a trail, but you don't let them sniff much on walks. This will make a Beagle very unhappy. One way to improve your relationship is to consistently ask your dog to say “Please” to get what they want. On a walk, for example, you can ask them to sit and look at you before being allowed to take a long time sniffing something. Like any relationship, there is always a little give and take involved, so learn what your dog enjoys to do and allow them to do it as a reward for good behavior. Alexandra Bassett is a professional dog trainer and the owner of Dog Savvy Los Angeles, a dog training and behavior company based in Los Angeles. She has volunteered to train shelter dogs for over a decade and specializes in solving problem dog behavior. She lives in Los Angeles and is available for free consultations. For more information, call 213-294-1519 or email us: info@dogsavvyla.com.